One of the greatest things about working in the catering industry is the variety of your day-to-day life. Now we don’t necessarily mean this in a workload sense, because washing dishes, setting tables and plating up food – those can all become rather routine, and like the majority of routines, a little laborious. The variety, the thing that causes so many people’s love for catering, comes in the form of the people you meet and the places you see. When you’re an off-premises catering company, you travel from venue to venue and deliver different food choices and drinks selections almost every day. There are never quite two events the same. Though the fields in which those events take place are always similar. What fields would those be? We hear you ask. Well, you came to the right place, because you’re about to find out. Social Events Mean Great Food and Drinks. This is perhaps the widest market in catering, and is without a doubt the one that presents the most opportunity. There’ll never be a time in the human lifespan in which social events aren’t tied in with good food and flowing drinks. It’s just the way we humans are, the way we always have been. Things that fall under this category vary from wedding receptions and birthday parties, to graduation ceremonies and bar mitzvahs. Social events will always be there for caterers, and one thing’s for sure, where there is a social event, there will always be a need for good food. Corporate Catering is Becoming More Popular. Who doesn’t love an exciting plate of food to spice up a boring meeting? Corporate catering is becoming more and more popular nowadays and this is primarily because of increased workloads, and subsequently, less time for preparing food. The main duties for the caterer here are to prepare breakfast and lunch platters, and get them to the hungry office workers before they chew their fingers off mid meeting. It is convenience that benefits the client in this context, which is exactly why corporate catering will continue to multiply steadily over the years. These can be very similar to the types of catering that take place within social events, only the context of the duties can vary a little. Think of cultural catering taking place in more public domains as opposed to privately-organized gatherings. Things like opera and playhouses, where more cultured things are taking place. Because of the venue, the menu tends to change to a more formal sort of vibe, with increases in the quality and finesse of the dishes. Consider yourself clued up now, and use this information wisely if you are considering breaking into the catering industry. It’s definitely a market that is growing at an impressive rate, and will likely continue at a strong pace indefinitely. It’s like we said, if it’s anything to do with food, there’ll never be a shortage of business opportunities. People are literally obsessed with food, and that’s why, as a good caterer, you should be too! So you’re planning for that big event and have most of the things on your list covered. You have your occasion, you have your venue and you have your guest list – the next thing to get sorted is your catering service. There are many things to consider when choosing the perfect caterer for your event (you can check out some ways to do find the right caterer in this article – link to other article I wrote here) and you have to make use of what information you already have. That being said, there are also many mistakes you can make when choosing a catering company too, and mistakes you cannot be doing with, not when planning the event of your dreams. Luckily for you though, we’re here to give you some guidance on the matter, and have selected three potential pitfalls so you can avoid these mistakes when making your selection. Get your notepad and pen out, it’s time to take some notes. Guests can Become Overwhelmed with too Many Choices. Variety is the spice of life, as they say, but in circumstances such as at a social event, variety can also be your gravest enemy. There is a limit as far as menu variety goes, and that limit tends to fall somewhere between ‘it’s a tough choice’ and ‘pass me page twenty-three of the menu.’ There’s nothing quite worse than having too many options, sometimes it’s less tragic to not have enough. Your guests should feel as though they have a nice wide-range of choices, but shouldn’t be swarmed with thirty different options and combinations. Keep things fresh but don’t go crazy. Have a look at some of our sample menus. Always Leave a Little Leeway in Your Budget. Your budget should always have a little leeway, but when you start creeping over it by more than a couple hundred dollars you’re asking for trouble. One way to avoid this is to select your caterer in the early stages of your event planning. Beside your venue and guest list, your caterer is the next most important thing, so making sure you leave room in your budget to hire the perfect caterer is imperative. This all ties in with your budgeting and is just as important as anything else. If your guests are left unfed, it doesn’t matter how glorious the rest of the event is, it’ll end up being a total disaster. No guest wants to go to an event where there isn’t enough food for them all. This is the 21st century, there’s no longer room for sharing! There’s no need to fret anymore, you now know of three things that you must absolutely avoid, so essentially, you’re three things smarter than you were five minutes ago. Of course, there are many other things to avoid when selecting your caterer, but we don’t want to reveal all of the possible places you could go wrong, do we? What would be the fun in that? When it comes to those big events in life – wedding parties, christenings, birthdays – you always want to get everything just right. More than that in fact. Most of the time you want things to be more than just right, you want them to be perfect, and as the organizer of such gatherings, you see anything less as a huge failure. One of the most crucial factors in getting these types of events right is the food, because we humans are obsessed with food. Think about it, what are the main two things that feature at any sort of social gathering? Yep, that’s right, food and alcohol. And because they’re so important, getting them right can mean the difference between an average night and an unforgettable night. One way to guarantee that these factors are perfect is to hire a professional catering company. Not just any old company though, you must choose the company that is best suited to your type of event. Sound difficult? Don’t worry. Just keep reading and take some notes, here’s what you need to think about. 1: Can They Cater Your Type Of Event? Some Caterers May be Experts at BBQ and Finger Foods. Of course they can on a physical scale, but will they be perfect for it? That’s what we’re shooting for here isn’t it? Much like any sort of profession, there are caterers out there who are best suited to specific events and formalities. Some might soar in wedding parties and high-class birthdays, while others might be experts at good, old-fashioned BBQs and finger-food. So it’s best to do some digging. Give some caterers a call, find out what they’re best at and base your final decision on a company who is best suited to your event. 2: Are They Willing To Let You Sample Things First? A Confident Caterer will Provide Free Samples. A sure-fire sign of a caterer that isn’t confident in their food is a caterer who doesn’t let you try before you buy. What are they hiding? Why are they so against people tasting their food before booking their services? It all comes down to confidence in their product. If they aren’t willing to let you sample at least a couple of things from their menu, what does that tell you about their menu? You want a caterer who brings you great-tasting food and a refreshing selection of drinks – these things are important, remember? 3: Do They Have A Bunch Of Great Reviews? Now, we always advise against taking online reviews as gospel, but they can shed some light on things. A better way still is to try and get in touch with some previous customers and talk to them about how their experience went. It’s always good to get in touch with people who have actually used the service because online reviews could be fabricated or even fictitious altogether. If your caterer has a flawless client satisfaction rate that they can back up through actual means, you’re on to a winner – and from there it’s time for dinner! Those were just a few of the many things to consider when choosing your caterer, so use the three things mentioned in this list and also construct a list of your own, this way you’ll have your best chances of choosing the right caterer for you. Perfecting your event is what matters most here, and selecting the right caterer is one substantial step towards your utopia. Catering comes in many different styles and formats, and of course, each different style is appropriate for different sorts of gatherings and events. Types of catering, meaning the types of foods and drinks that are served and in what quantities, and also decorations, layouts and inclusions, can be more structurally complex than people first think, and that is the exact reason behind us creating this list. So here you have it, four different types of catering and what sorts of thing to expect with them. Having Your Corporate Event Catered Leaves You More Time for Work. We’ve all been there, gathered in the meeting room or in a conference or just in the office block in general, thinking that we could really use some nice finger food and a selection of tasty drinks right about now. Well, this is where corporate catering comes in. The benefits of having food taken care of for you are many. With having food delivered to the workplace, it takes the thought of it off your mind, leaving you to focus on the more important tasks at hand and allowing you more time to work. Popular food types in this sort of catering include: box lunches, a selection of traditional buffets and continental breakfasts – sounds tasty! Catering Social Events Removes the Stress of the Situation. Whether it is a BBQ, a birthday, a christening – whatever the occasion: expect balloons, appetizers, good food and of course good drinks, with your very own bartender. Fancy! This is catering on a whole new level, and should not be handled by anyone other than the pros. In this generation, and in most generations before, wherever there are a lot of people, there’s also a lot of food. Catering of this type tends to cover major sporting events and public gatherings like parades or carnivals. Expect burger stand foods: burgers, hotdogs, bacon cheese fries, ice cream, donuts – pretty much anything delicious you can think of, it’ll all be there. After Wedding Catering is a Great Way to End the Big Day. A spin of finesse comes into play where wedding catering is concerned. The last thing a bride or groom wants is a sloppy service at their wedding, which is why catering companies work very hard alongside them and with their direct instructions, in order to create the day of their dreams. From the drinks menu and the cake, all the way down to the decorations and what type of small fruit the dessert will be topped with – all of these things must be considered when catering for a wedding. And that’s not even the half of it! Now that you’ve had the rundown of what the different types of catering are and what they cover, you can select what sorts of things you’ll need with more confidence. So you can go on positively, and select the type of catering you need to make the amazing event you’re planning even more amazing. One of the first items on a to-do list of planning a big event like a wedding is to pick the venue. It needs to suit your style, accommodate the number of anticipated guests, and can have a significant impact on the overall feel of your special day. This may be obvious, but if you know you’re going to have 200 guests and fall in love with a space that can only hold 60, it’s likely not going to work. You can always ask the venue if they have alternate spaces on site but don’t waste your time, and then get disappointed, visiting a space that literally won’t fit your needs. And if you are hosting a smaller soiree, a large event space will seem too empty. You don’t need to know exact numbers before you book, but having a rough idea (50? 150? 300?) will help you narrow your options down. Wedding Costs Can Add Up Quickly. Many people have a pretty tight budget and wedding costs add up quicker than you’d like to think! Like with size, cost is a factor that can help you rule out certain venues immediately. 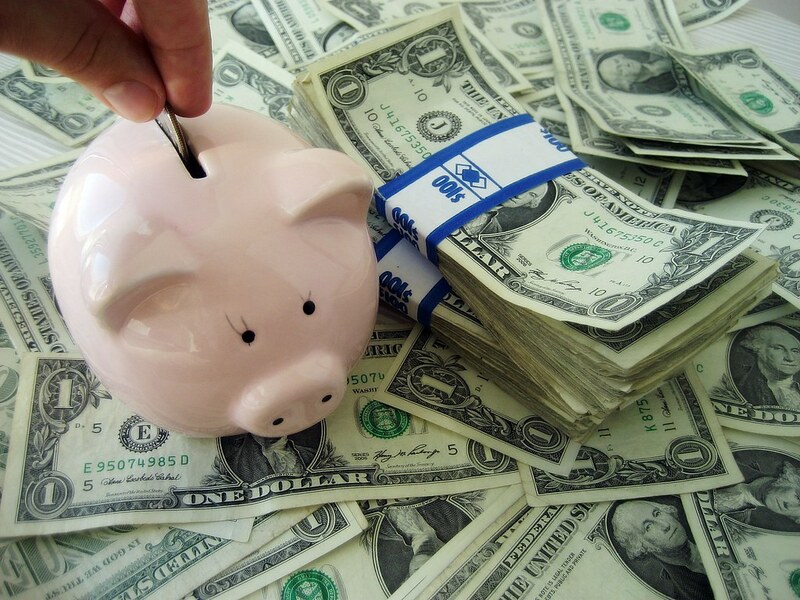 How much of your budget is allocated to the venue is ultimately up to you. 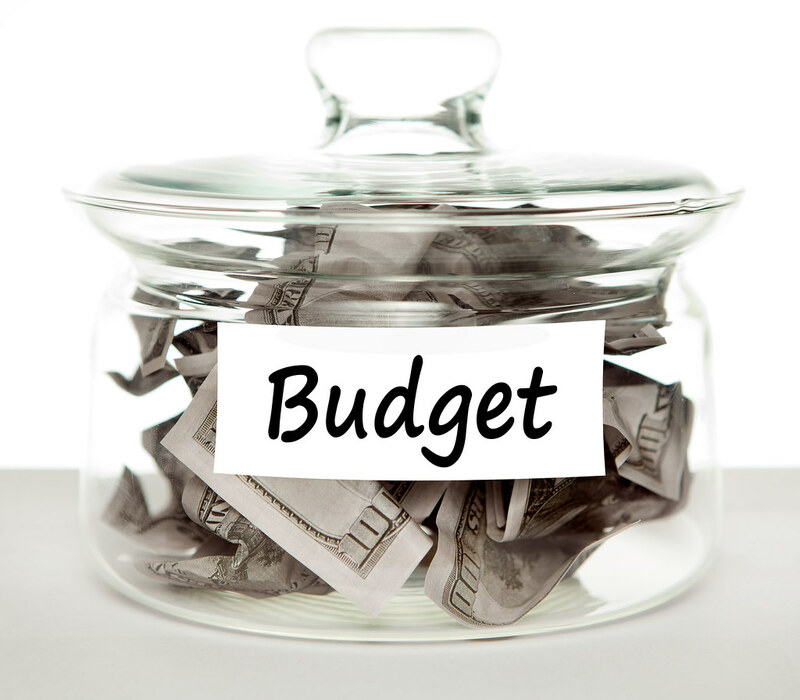 Just keep in mind if you do go over-budget here, you might have to cut costs somewhere else. According to The Knot, you can expect your reception costs (venue, food, drinks, etc.) to account for around 50% of your total budget. Have your heart set on a summer wedding? Be prepared for many venues to book up quickly and far in advance! This is especially true for the popular summer “wedding season”. If you’re flexible with your dates, you’ll have more options. If you are visiting the venue during a season other than the one you plan to get married in, make sure you ask to see pictures of the space in your anticipated season. If your wedding is during a hot or cold time of year, make sure you ask about heating or air conditioning! If you envision a romantic traditional wedding ceremony and reception, you might be more attracted to a venue like a vineyard or golf course. You’ll probably steer clear of a modern industrial-style space! Make Sure Your Wedding Guests Have Transportation. Are you getting married in a rustic barn in the countryside? Sounds lovely, but make sure your guests have access to convenient accommodations and transportation! If your venue is difficult to access or out of the way for most people, you can offer a shuttle bus. Your guests will be partying and you want to make sure they get home or to the hotel safely! Hotels often offer deals for booking blocks of rooms designated for your guests so call around to nearby hotels. Other options include bed and breakfasts or see if local guests are willing to take in out of towners! The first thing you need to find out is whether the venue is full-service or not. Either way, some venues require you use certain vendors such as caterers and rental companies. This doesn’t give you the flexibility to shop around. Also consider the style of service – family style, plated, buffet? Whether casual or elegant, Austin Gourmet offers a wide variety of wedding menu options. Contact us today to discuss your special event! Film catering and craft services play an extremely important role in ensuring a film shoot runs smoothly. Without adequate nutrition, film cast and crew members won’t be able to keep up with the demands of long tough work days. Especially if the film is being shot on location. The location could be very remote and hundreds of miles from the nearest gourmet restaurant. For Empire of the Sun, shot in China, food had to be shipped from Australia and New Zealand – every potato, apple, and egg for 400 people! Sometimes the locations are not very accessible (think of a mountainside in Scotland for example), so careful planning for transportation of all equipment and food is essential. Film caterers also need to consider dietary restrictions and preferences. Caterers must also stick to a schedule throughout the day – not having food ready in time can delay shots/scenes. Workdays on film sets are known to be long and tough. Fourteen to sixteen hour days, six days a week are normal. And the caterer’s day usually starts well before sunrise – two to three hours earlier than the cast and crew arrive for breakfast. A “walking breakfast” that spans around three hours allows the crew to arrive at staggered intervals and still get fed. Lunch is served around six hours later. The goal is to get everyone fed in 30-45 minutes – there’s no time for a leisurely lunch on set! Food Costs for Film Catering can be High. A film’s catering costs are considered a “below the line” expense. Food costs for film catering are higher than a typical restaurant – in the 50% range compared to 22-30% range. And the percentage of a film’s budget dedicated to catering is usually only around 1% of total production cost. For a $3 million made-for-TV movie filmed over three weeks, the budget might be around $30,000-$40,000. Vancouver is the third largest film production center in North America. 2015 was a record-breaking year: over $2 billion was spent and 26 feature films were produced here. One of the largest productions was Deadpool, which spent over $40 million in Vancouver and employed over 2000 local cast and crew. That’s a lot of hungry people to feed! Film catering budgets will vary, but undoubtedly as Vancouver becomes an increasingly popular film mecca, the demand for caterers will also increase. 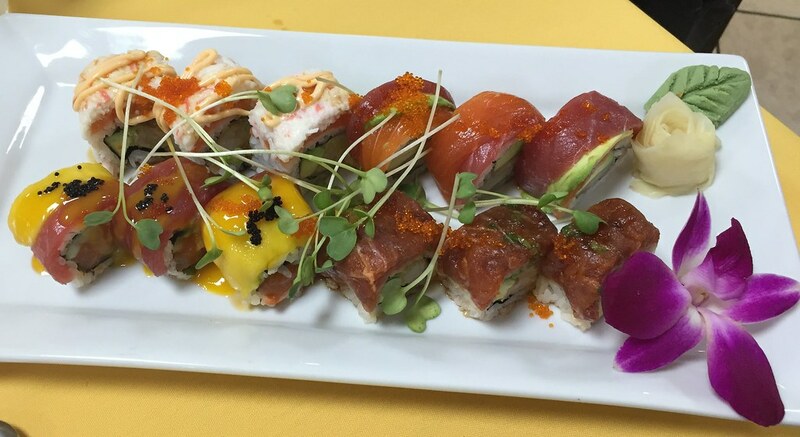 Craft Catering Offers Elaborate Snacks such as Sushi. Craft services provides snacks that are available throughout the day whereas film caterers provide the (typically) hot sit-down meals. Depending on budget, craft services might provide anywhere from simple coffee and pre-packaged snacks to more elaborate sushi and cappuccinos. These two services may be provided by the same company, but are usually separate. Getting married is the happiest time of your life, but unfortunately, it can also be the most stressful. From the dress to the venue, making decisions is a huge part of this big day. One of the hardest decisions, which is determined based on your budget, is what to serve your guests at the reception. Is it a finger food only party? Or is it a sit-down meal. Truth is, nine out of ten weddings opt for a buffet. Now, which buffet is for you? This moderately priced buffet consists of some great food, perfect for a rustic themed wedding. The food served with this buffet are hot dogs, hamburgers, steaks, grilled potatoes, garden salad, chef’s salad, pasta salad and your classic cheese and fruit platters. This is a buffet that happens to be an inexpensive choice for those weddings on a budget. Simply put, the food is a wide range of soup partnered with a variety of sandwiches. A common favorite is Italian Wedding soup partnered with a ham and brie sandwich on a croissant. Minestrone is a fan favorite as well, and that goes best with roast beef. Who doesn’t love breakfast for dinner? This simple, low cost buffet is enough to fill both the stomach and heart of each guest. The food included is generally scrambled eggs, sausages, bacon, hashbrowns and pancakes topped with delicious whipped cream and strawberries. Milk, juice and coffee are popular beverages to serve with this type of buffet. This type of buffet is pretty expensive if you consider how many people you have to feed compared to the average cost per plate, which ranges around thirty to sixty dollars. The food served is Lobster, muscles, crab, seafood chowder, steak, chicken, and things like that. Lobster being a pricey option, you may be able to pull this off without including it if you need to lower the costs. This is a fun buffet and a fan favorite for many people. It consists of different types of pasta and pizza, and breads. Price range wise it is on the cheaper side when comparing to things like a turkey or ham dinner. The only issue is that you won’t be able to cater to guests with gluten allergies or intolerances, so be sure to have something on the menu to make up for it. Ranging around twelve to twenty dollars a plate, this buffet is frequently chosen because it contains classic food that people are used to. You have turkey or chicken, ham and roast beef, with vegetables and gravy, complimented with rolls. While most of these buffets are commonly selected as wholes, you can also opt to mix and match with some of them. If you are the bride-to-be and you want to have lobster for breakfast, or spaghetti with your classic buffet, it’s completely your choice and keep in mind, most caterers can accommodate specific requests. Catering and craft services are extremely important in filmmaking. With up to 16-hour work days, 6 days a week, they play a huge role in the crew’s physical and mental wellbeing. And unlike famous actors, other crew members can’t get their moms cooking flown in by helicopter. For those confused between the two, here we have a quick summary of catering and craft services. Film caterers cook whole meals- breakfast, lunch, and dinner- for the set. Different regions handle this in different ways. In Vancouver, there’s no official break but meals are passed out all day. This is called “French hours”, allowing crew members to grab a bite whenever free. European’s use a similar system- prioritizes the momentum of the film. There’s usually a buffet laid out allowing workers to eat when off work. In Hollywood, meals at set times. Usually, every 6 hours lasting for 30 minutes each. If they started filming at 4 am the next meal would be at 10 am and so on. Craft services provide both snacks and help with any miscellaneous projects. The word craft refers to film departments: sound, electronics, camera, acting, directors, special effects, make-up, and props. These snacks are offered throughout the day. This can include muffins, cookies, cereal, coffee, salad, and sushi. Craft services usually end up being the social center of the film. They also act as extra hands. You can find them “digging a hole to place a camera at ground level, laying out protective material on sets — and cleanups, too. After a movie car crash, for instance, craft service would sweep up the broken glass.” writes NPR’s Susan Stamberg. The quality of the food is influenced by the film’s budget. A menu can vary anywhere from pizza and cookies for a low budget production to fresh caviar and lobster for a more expensive one. Producers also must account for the crew size, dietary needs, and most importantly location. Whether they’re in the countryside of Ireland, a remote desert, or Alaska actors need their supper. In the end, catering and craft services usually comes out to be more expensive than the camera department. If you want a shoot to run smoothly then you’ve got to have a solid catering and/or craft service. Food is one of the number one complaints in filmmaking so producers pay attention. The Wedding Day is a very special day in everybody’s life. It is the day when you take vows and unite with your better-half. But even before you step-up the dais to say ‘I do’, there is a long list of checklist that requires your attention. Surely, catering and food menu tops the list. To plan a wedding food menu easily and quickly, take a look at the following food ideas. The most crunchy and crispy part of any wedding is when the appetisers are being served. An exciting appetiser menu has all the strength to make the cocktail hour the highlight of the wedding. Impress your guests with your creative and startling food presentation. Coffee dessert drinks infused with cream make-up a mouth-watering amalgamation. So, don’t miss out on those Kona coffee & Kahlua brownies and Starbucks-inspired coffee dessert drinks to please all your caffeine lover guests. Surprise your guests with this novel idea of non-alcoholic drink shots. Imagine cold gazpacho and cream of zucchini soup in shot glasses. Sounds innovative! Doesn’t it? Had a great time at your best friend’s wedding? And now it is your turn? Make your wedding as special and unique as you! Go for a brunch wedding reception with bacon, scrambled eggs, muffins and sunrise, and live the best day of your life fully. Food truck wedding ideas are becoming very famous these days. These are a trendy and hassle-free option for any wedding. Food trucks are a superb blend of bold, modern and classic twists. So, don’t hesitate! Serve your guests with delicious cuisines and cocktails on wheels. Food Truck Catered Wedding. Image Source: The Daily Meal. The first impression is the last impression. Make sure the set-up of the cocktail bar is nice, neat and exotic. Add something funky to the cocktail hour with colour-coordinated cocktails. Believe us, this hour is the most awaited hour at any wedding! Think out of the box! Give folks an opportunity to make their desserts. For a formal setup at the wedding, set up a dessert station and position a waiter to help out the elderlies and kids in making their yummy and sugary desserts. For hot ready-to-eat snacks such as oysters, sushi and pasta, live chef stations are a hit at the weddings. A live chef station is one food station that allows guests to have their blend of flavours in a dish. Such a station is also a favourite spot for mingling. Want to taste poetry from a bottle? How about removing the cork of a wine bottle and letting the celebrations begin? Fill the air with the fragrance of wine and romance, and allow the guests to sway in love. The concept of a theme food menu is incredibly attractive and popular. Themes set the right tone for the whole wedding menu. There are a variety of food themes to choose from, such as spring, seasonal, ethnic, etc. Select your favourite theme and make your wedding a stylish affair. Choose these catering ideas and make your guests go ga-ga over these surprising arrangements. What would be the shape of the world without love, good food and a glass of wine? Bleak, isn’t it? Love and food have some cosmic connection. A table filled with good food and wine has stirred the emotions of many men and women. The secret behind this connection is that many foods are aphrodisiacs. Such foods have the power to stimulate strong feelings of pleasure and intimacy. To add to it, the season of love is here again, shining brightly on every love bird. Make the most of this Valentine’s Day by taking charge of the kitchen and showing your special someone that you care. If the road to your companion’s heart is through their stomach, then these food ideas cut to Hecuba. Make your special one’s heart aflutter by keeping in mind these utterly delicious Valentine food secrets. Nothing can beat a perfect breakfast feast in bed for a cuddly, cosy and comfy beginning to your Valentine’s Day. Impress your better-half with this easy-to-make, mouth-watering peanut butter French toast. All you need to grab is two pieces of buttery brioche, full of smooth and creamy peanut butter. Layer the toast with crunchy cornflakes and toast them until they are unwilted. Finally, garnish the French toast with maple syrup and fresh berries. Many of you must be aware of chocolate’s aphrodisiac power. We urge you to use this power on Valentine’s Day. Express your love with an amazing fusion of dark chocolate and cherries. Sink your teeth into this special brownie and allow yourself and your partner to experience pure temptation. Do you want to experience the bliss of heaven on earth with your beloved? Indulge in the soft, red velvet cake bites that make for one of the best food ideas for every occasion. Savour the fusion of cake and frosting, immersed in chocolate, and deepen the bond of love forever. Love expressed through pizza is eternal. Prepare a freshly homemade pizza crust crowned with crimson tomatoes, Gruyere cheese, salami and black olives, and present it to her/him with a glass of red wine. And this time, don’t make a triangle but a heart shaped pizza for your darling. If you want to treat the love of your life to a traditional candlelight dinner, then parmesan marinara mussels would make a terrific first course meal for your V-day evening celebration. To make your relationship stronger and deeper, two factors will go a long way – quality time and food. This love season, give greeting cards, bouquets and gifts a rest and spend some beautiful time with your love instead. Make 14th February a unique and extraordinary day by creating some beautiful reminiscences with food that ‘put you in the mood’. Well, now would you stop blushing and start preparing some delicious dishes for your soulmate? You won’t be let down, we promise!